In this episode of "The American Experience", instead of focusing on big events or important historical figures, the show is about a very obscure woman and a part of our history we very, very rarely talk about. 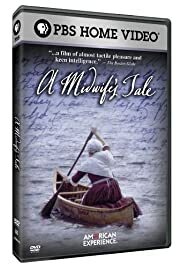 It's the story of a midwife who lived in Maine in the late 18th and early 19th century. Not only did she deliver babies, but this lady worked on curing a wide variety of maladies--using various folk medicine. This was THE way most folks dealt with medical issues in the day--doctors just weren't that common, plus they were, for the most part, really incompetent. This story comes from the diaries left by the midwife , Martha Ballard, and were brought to life in Laurel Ulrich's Pulitzer Prize-winning book. The story is, uncharacteristically, told not with narration but with interviews (often with Ulrich) as well as LOTS of recreations. 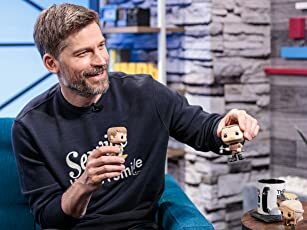 The recreations were very lovingly made and took a lot of effort--and I commend the show for this. And, it's a very important historical document of the times. However, as a retired history teacher, I realize that MANY couldn't care less about this sort of mundane history--so it's for a very select sort of audience. The story also does seem quite depressing at times--and gets worse as it progresses. But, if you have some patience and appreciation, I recommend you see it.